Showcase your exotic style with the Emerald Sage Tropical Border Rug - 4 x 6. 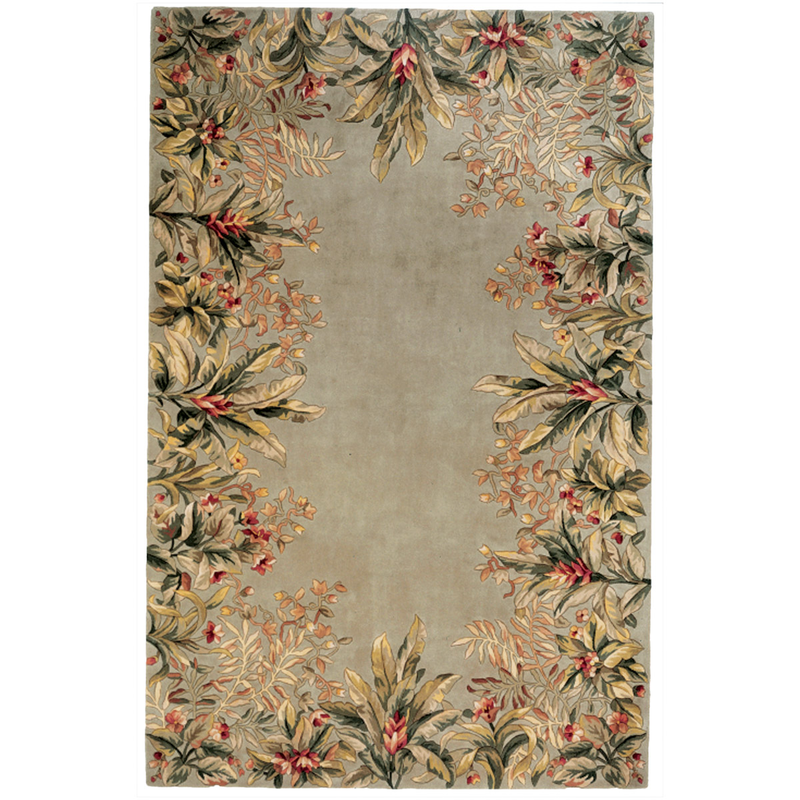 This nautical area rug is designed with a sage background surrounded by a lush green, red and brown foliage border. For even more offerings, we encourage you to make time to shop our extensive array of coastal area rugs at Bella Coastal Decor today.